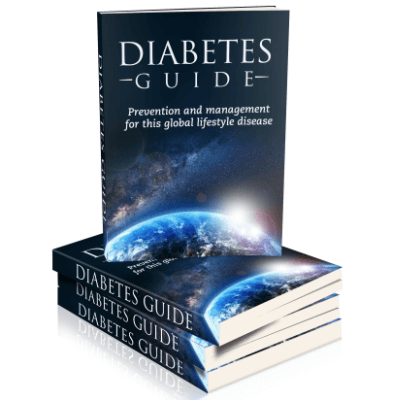 Diabetes PLR Articles, eBook & More! 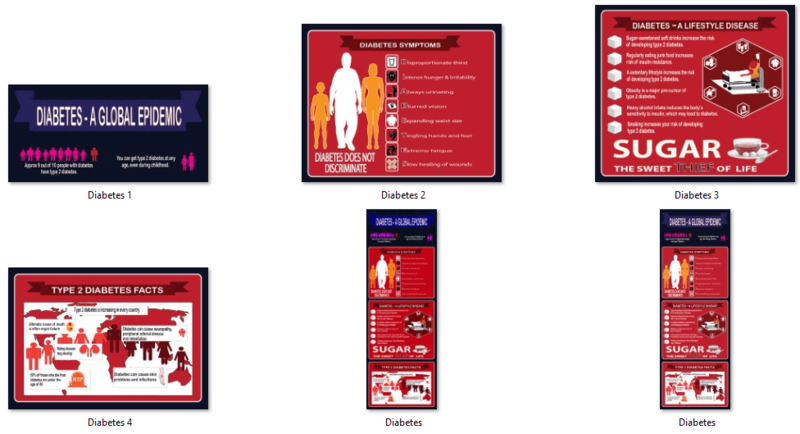 Our diabetes PLR mega pack provides content covering the prevention and management of diabetes. Professionally written articles, an ebook and graphics, social posters, infographics, tweets and more! This health condition is becoming a global epidemic and every day more and more people are wanting to be informed about what they can do to help prevent diabetes. Now you have the information at your fingertips right here in this awesome package! Inside you will find quality, well-researched content, covering the different types of diabetes, the importance of exercise and diet and natural herbs and management practices. This pack also includes professional graphics! Plus special PDF documents with headers and footer images. Articles – 10 Articles in 3 different file formats – Word, Text and PDF. View one of the PDF samples on this page…see the preety blue header and footer? This is just for one article and there are 10 like this one. Tweets – 10 Diabetes Tweets with space to place your website link. eBook – 18 Page “Diabetes Guide” (3,142 words) complete with table of contents, disclaimer, introduction and conclusion. Editable Word Doc. and ‘ready-to-go’ PDF ebook. eCover Graphics – Also included is a professional eBook cover and the PSD source file. Social Posters – 10 social posters to complement each article. Infographics – These are what you would expect to see on authority health websites! To promote your content we have also provided you with 10 tweets to generate some social buzz in Twitter. You can also use them in Facebook to get your fans commenting. These snippets are a great way to promote your articles on your website or tweet about your new ‘Diabetes Guide’. The ebook is already formatted as a PDF and is ready for you to use. However if you would like to edit it and add your own details, the Word document is also included and easily editable. The ebook cover is inserted and the contents/index, disclaimer, introduction and conclusion are all done for you! Each one complements an article in this PLR package! We know you will love these infographics! Look at the sizes! The full-size infographic is 800px x 2,279px. You can post these infographics on your website and your visitors will want to share them to the many social media sites. They will be spreading your website far and wide. The main infographic has been designed to create another 4 infographics. There are hundreds of ways to use the PLR (private label rights) content that we provide. You can post the articles on your websites, (either as is or re-written to suit your own ‘voice’ or personal style), upload into your autoresponder, use the information to post to Facebook or other social media sites, give the beautiful PDFs to your visitors as handy downloads to collect and save, or build your list with the professional, ready-made ebook. 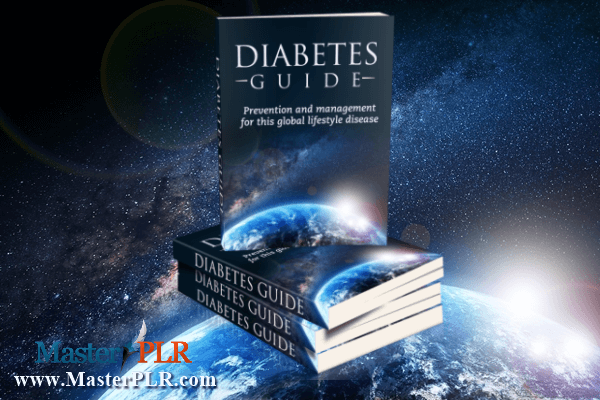 I would like to purchase your PLR Diabetes Guide pack but need to know (1) whether or not it is highly saturated and (2) are the 10 articles suitable as autoresponder emails? Thanks for the prompt response. One more question 🙂 Would I be able to edit the book Title & Cover from the source file? Yes you can edit the ecover as it has the PSD source file. Thanks again! Hi, am new to Facebook, will I be able to put the infographics to my Facebook? Yes you can add the infographics to Facebook. They work really well in Pinterest too! Hi, After purchase, can I just use the ebook part to giveaway as a bonus? You can give it away as a bonus, if it’s to your own products or if someone buys through your affiliate link to a diabetes type product, and only the PDF file can be given, not the editable Word file. You can’t give it away as a bonus if it’s for PLR products/promotions, or give a PLR license. Okay great, so if I understand you correctly, If I have an ecommerce site and I’m promoting a product that is related to diabetes, I can offer the pdf format, NOT including the eBook cover that you provide to my buyers as a bonus for buying my product on my store correct? If so, can I create my own custom eBook cover to put on my bonus banner on my sales page to let em know what they’re getting? That’s correct. Your buyers should only receive the PDF… nothing else… which includes the picture of the eCover, as shown in the screenshot above. The bonus should be (has to be) for their personal use only… for them to read. So you shouldn’t be providing any of the editable source files. Even if you create new ones, you shouldn’t be giving them the source files… there is no need for them to have any of that, as they are not allowed to resell the eBook.